The Stryk B pistol, also known on the US market as the ‘Archon Type B’ pistol, is the interesting result of modern international cooperation. It was designed by the Italian-based company Arsenal Firearms as an evolutionary compact version of the Strike One pistol by the same firm. Production of its parts was outsourced to several different companies located in Europe. Final assembly, proofing and after-sales support is provided by the German RUAG company. 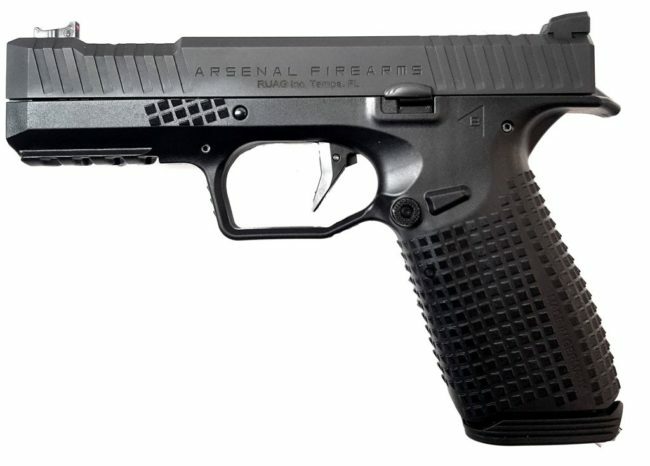 The “Arsenal” trade mark in relation to firearms is already in use in the USA by another company, so it was decided to market this handgun under a different name in the lucrative American market. 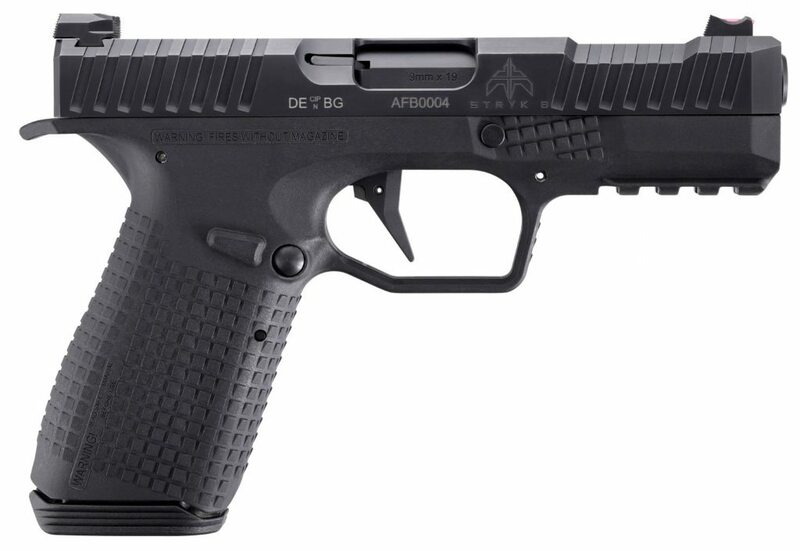 It is rebranded as the Archon Type B pistol, offered through the Archon Firearms company from Las Vegas, Nevada. The Stryk B pistol is a semi-compact sidearm which can be used as a duty pistol for security or police personnel, and as a defensive concealed carry weapon for civilians (where permitted by law). It uses a short recoil operated, locked breech action with the patented “AF-Speedlock” locking system. In this system, the barrel recoils in linear motion, back and forth, without any rotation or tilting. Locking is achieved by a Y-shaped part which slides up and down around the barrel when it recoils, locking it to the slide via side lugs that engage cuts on the inner walls of the slide. This pistol features a polymer frame with removable steel ‘chassis’ which hosts slide rails, trigger parts and barrel locking / unlocking interface. The trigger is of ‘Glock-type” single action pattern, with internal striker being partially cocked by the movement of the slide, and fully cocked only through the pull of the trigger. There are no manual safeties on the gun. Sights are of fixed type, dovetailed to the slide and thus easily replaceable. Standard magazine capacity is 15 rounds, but longer and more capacious magazines made for the Strike One pistol can also be used if required.